CPU: Preordered 8700K but it kept unavailable. When all the other components arrived, I decided to switch to 8350K which is in stock at the moment and I think it can also meet my current need (which is not high at all: playing Heroes of the Storm at highest quality). Turns out the 8350K is really powerful for me and seems like I got one with pretty good quality which can be easily overclocked to 5 GHz. CPU temperature under load on 4Ghz stays around 60 - 70C which is not bad. After updating the motherboard's bios to 5430, the ram can now run on 4266Mhz with no problem! GPU: 1060-3GB is just enough for most games since I'm using my old monitor which is 1080p 60Hz. I'm planning to have dual-AIOs in the future when I can feel the need of an upgrade, and hopefully, there will be a huge improvement with new-architecture GPUs. PSU: I asked on @FRNND's build and seems SFX-L will be "a pain to get in". Among the SFXs, I found the newly released 650 from Silverstone. Though it is not semi-passive, it is definitely silent enough that I never noticed it. Case fan: Since I'm currently with an air-cooled GPU, the front panel is empty for an extra case fan so I purchased the good-looking Noctua industrial PPC, and get it connected to motherboard with a Y-splitter together with the factory Phanteks fan. But I sadly found the 3-pin DC regulated Phanteks fan and the 4-pin PWM fan cannot work together perfectly with the same header on the motherboard - in either BIOS setting (PWM or DC), one fan will always run at full speed. So I have to put the factory fan aside. The RGB on the motherboard itself. The RGB on the case. The RGB on the GPU. The sad thing is the Z370-I only have one addressable RGB header which is [Ground, Empty, Data, 5v] which seems not compatible with 1 and 2. Though Phanteks says they are compatible with ASUS Aura, I didn't find any way to get them synced. I hope that someone can figure out a way to get the case sync with ASUS Aura... So only 3 and 4 are controlled by ASUS Aura. I need to manually control 1+2, 5, 6 separately. The case: Shift is not small compared to NCASE or other famous ITX cases. Phanteks designed the air circulation, but still, some effort is needed to get it to work (the front fan need to run at a little bit noisy level to get all the heats dissipated when gaming). Building with it is troublesome (I bought an 8-pin PSU extension cable and a fan extension cable afterwise in order to have everything connected in a tidy way), but meantime a lot of fun if you enjoy it. The most important point is: the case is really BEAUTIFUL. It works with no problem and it looks awesome. Though not being semi-fanless, it is very silent. "But I don't want to be too brutal to my new CPU..."
Lol! Don't worry, I'm doing the same thing.....! I really like this! The photos are amazing and the cable management is on point. A nice little build for some moderate gaming. That CPU seems a tad hot though, don't boil any eggs on it. I hope it can help me boil water in the winter! This is really similar to what I would like to build. It's really great to see these shift builds and all the comments to see the problems people are running into. Love love love this build! I think you've done a great job of giving this tiny tower an amazing look & feel. I think the parts selected are perfect in this case and it looks incredible. Feature deserved imo! Thank you!! Actually this is basically my personal choice and there are higher value choices for some of the components! I love the minimalism of this build. What makes it look great, which most people don't appreciate or understand, is the amount of darkness you have, with merely a few rgb highlights. Case lighting almost always ruins a build. This is how it's done properly. The Shift or Shift X will be my next purchase. The whole Evolv range is truly beautiful. Also, nice work with the photography. Thank you!! My first choice was actually Evolv ITX or mATX, since I thought SHIFT is designed for living room / HTPC... After I realized that shift is actually smaller, I preferred shift more. But they are all very beautiful. So, the RGB for the Phanteks case needs an adapter from phanteks' website, which can be found here: http://phanteks.com/PH-CB_RGB4P.html I went through Phanteks support for the lighting on my Shift X. Also, I can wholeheartedly recommend using a black zip-tie to keep the cooler's tubes together. It looks a whole lot nicer. Beautiful pictures. Also you can put the rad fan on the bottom. Hi Nice build and description, curious as to whether you've tried anything that is more multi thread, I realise i3's aren't meant for this but I am in need of a cheap server upgrade (from an AMD 670k) as was considering the i3-8350k as an option. Why consider an overclockable 4 core. Consider ryzen 1300, 1400 or 1600.
for the billionth time I swear, the 8350k spanks all of those at single threaded performance, which still matters. For Plex and CPU you go straight to the Passmark scores. They are a direct correlation. The Plex subreddit has a few budget builds using used server hardware that will blow your mind. Love the new tower! I was also thinking about getting an i3-8350K at some point but I wonder if I can record @ 1080p 60+FPS any AAA modern titles. Tell me how the processor is holding up! You could use ShadowPlay or ReLive depending on whether you get and NVidia or AMD GPU. I believe that puts the load on the GPU. Thanks! I didn't do game recording but I think it mostly depends on what game you play and your video settings / I planned to play Nier:Automata in the near future and I'll update when I got the CPU utilization stats. This is probably one of my favorite builds i have seen with this case. You did a great job with the cable management and just making it overall clean. Not to Flashy but just right!! Sometimes people cant get a little overkill with the lights. Nice Build!! Beautiful case, epic build, detailed description, amazing quality pictures. +1. Enjoy your awesome PC! Thanks! Did you mean the space that is shown in my fifth image? Very nice looking build and pics. lol great build how was the case... thinking of getting one! Thank you!!! Actually this strix is not my favorite I would prefer black over silver but this is the only choice with a good audio chip when I was buying. Hope you'll find a cooler mobo! I laso have a question: do the components get hot in such a tight space and is it difficult to do some decent cable management? If you use water cooling it won't be a huge problem since it always intakes fresh air outside for cooling... Otherwise, it could be, and you need to keep the front case fan running to exhaust the hot air. Cable management would take some time but is doable since there are some spaces in the middle and back of the case. But you might need to buy some extension cable (I bought an 8-pin PSU extension cable and a fan extension cable). Thanks!! 8350K serves me well since I don't do heavy multicore tasks like rendering, and the single core speed is definitely fast. I haven't used 1500X but seems like it is a nice choice too and you can compare them by looking at some benchmarks. From a fellow shift owner congrats on the feature mate! Thanks! I do love this case! Great Build! I recently discovered this new case from Phantek. Looks amazing with your RGB light setup! 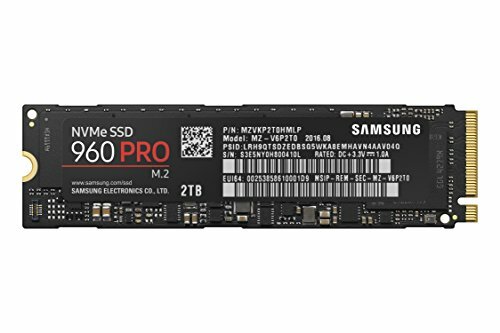 Have you notice any performance gain or issues from using m2 ssd? I'm considering adding one to my current setup. The last two photos turned me on, lol. Very well done! Fantastic presentation. Congrats on the featured spot. Beautiful. I'm waiting on a Shift myself, and had the same idea with the EK A120 Kit. Would make this gorgeous case even better! Very good. I really am impressed with Intel's performance increases with the new Coffee Lake Architecture. What a nice build. I hope to build something like this one day. That case is so nice. Great stuff! It's nice to see something get featured that isn't completely overkill (just the SSD and RAM). Nice work! Pretty pictures! $2000 with an i3 and Gtx1060? Oh man...save that money from the ram and put in a 1080. The intel chips works fine with ram speed around 3000mhz. The cpu Aio looks good but has poor performance, go corsair H80i v2 or NZXT Kraken. Thanks for the advice... Actually, I could have saved a lot of money from everything except the CPU and GPU... I'm planning to buy a new GPU next year or sometime with AIO so I need two AIOs at the same time, so H80i v2 or NZXT Kraken is a little bit big. Only 2 small Aio can fit in this case. I think air cooling gpu will be fine. Actually I dont feel anything is too costly except for the ram. 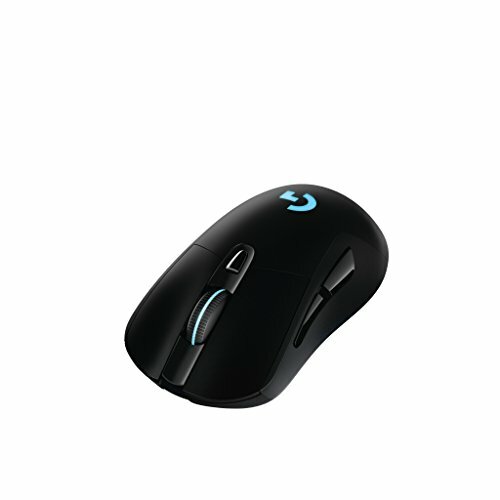 The 2100 total price includes the monitor, keyboard and mouse, and windows as well. Good work. You deserve a better one! Hi, I'm going to make a build using the shift too as well, and I'm really trying to figure out how I'm going to cool the thing. Could you explain bit more clearly for me why you didn't get to try sticking the EK unit onto the PSU. Why was a hydro gpu havining a copper instead of aluminum block a problem? I think I'm missing something. aah I see, thanks for the info! Hello, thank you for a very delightful build. I just have a short question. I do not fully understand the rgb situation. (5). The RGB on the case. Other rgb components in your awesome system do not require the rbg header on the motherboard (ram+mobo integrated led). Is it not possible to connect the cpu pump and deepcool provided led strip via the adapters to the addresable mobo rbg connection? Wouldn't you then be able to control the 1+5 in your system using the aura software? Or where is the catch 22 :-) ? Some software glitch? Oh, I see now. Thank you for your clarification! 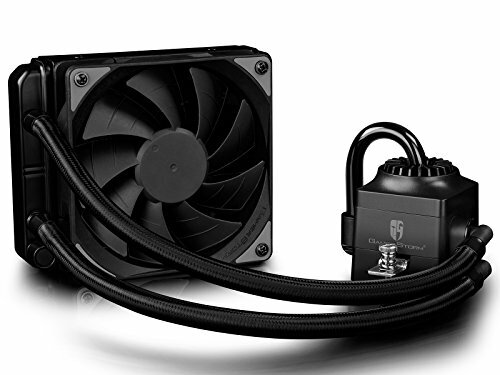 Is it possible to connect the pump rgb to the phanteks case controller? I've read somewhere that the original phanteks controller comes with two connectors, so I am thinking to use one for the led strip and one for the pump. Doable in your opinion? Thank you in advance for your answer. You are so clever! I didn't risk it because it said 'connect the cable with phanteks strips only'. But I just tried and it worked! That reduces a lot of cables on the back of the case and makes changing color a lot easier. Thank you!!! Haha, and I found the color on the top of the case and the color of CPU fan/pump are not the same. Maybe the r, g, b sequence of the header are not identical. Anyway, the light on the case top is so small and neglectable so it is still nearly perfect. Do you have control of the cpu pump leds from phanteks controler when trying to set breathe, rainbow settings of the controller or does that not work? for some reason im in love with new cpu ! Man, I love your photos. So I was looking to build an itx pc and as soon as I found this case I fell in love. Then I found your build and I was sold. I had already selected the parts and they were pretty similar. 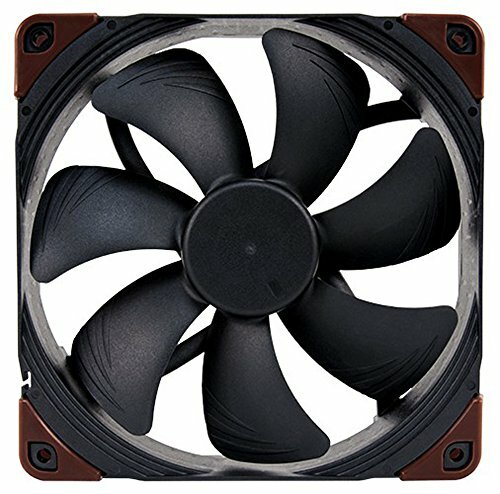 I just want to know some inside tips, like should I buy another fan? Shorter cables? Any tips for this build would be amazing. These are my components but they are almost the same. 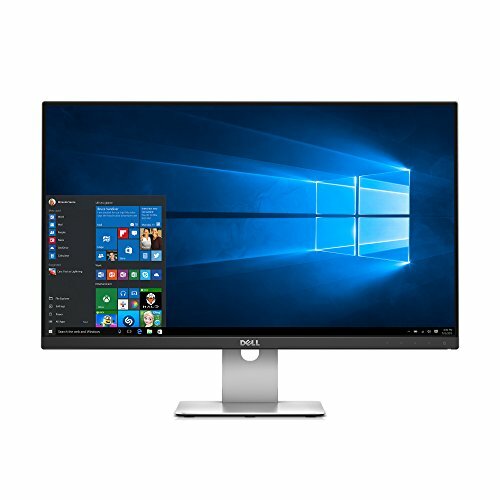 https://pcpartpicker.com/list/GkHJ6X . (The 1080 ti wont necessarily be that one). I don't think another fan is necessary, and you should first check if there is enough space on the lower front panel for another fun when you have your GPU installed. If there is enough space, you can add one if necessary. And if you choose a CPU AIO radiator that is thinner than 27mm (like this one), you have the opportunity to get another AIO for your GPU, and it is your choice. Thank you for the tips :D.
Hey, can anyone confirm if the CPU cooler fits? I can see that it fits in the picture but just wanted to double check because the case says the clearance for CPU cooler is 82 mm but the cooler is 85mm high. Mine fits with no problem. A small gap between the cooler and the glass. 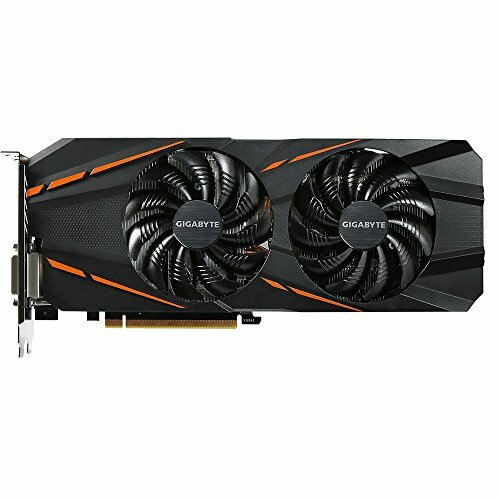 Would this fit a 1080 with this config? Depends on the dimension of the card, width especially. Most would fit. Great build! How did you work out the rgb situation? Now the CPU fan and pump fan are controlled by the case, GPU controlled by its own software and the others are by ASUS Aura. I'm a bit confused. Why do you need usb for connecting those two? On the motherboard, there are headers for both 'PUMP FAN' and 'CPU FAN', check your manual. in terms of heavy video editing, do you think the cpu cooler is a good choice? I don't have experience of video editing. However, I think the most CPU-heavy part is when encoding the file. This cooler is not bad, but if you have a bigger case you can have a bigger cooler which would work better. Love it! Now, I'm soooo building one too, to push a 4K Presentation Monitor we're getting soon. Well done! I have the same issue with the RGB on my asus/shift build. No luck finding a solution yet either. Were you able to figure something out? I found the case provides 2 rgb header so you can have some of the lights (cpu, pump) controlled by your case button. But there is no way to control everything from the motherboard because of the lack of rgb header of z370-i. I just do not understand why Asus would put an adressable rgb header when 99% of all devices would reap benefits from a regular one! I know that adressable seems to be the future, every single led light of the strip being able to shine in different color and all... But WTF if there is just one manufacturer of the strips which can be connected :-/. Great, but I think that Ryzen 1500X is better and cheaper than i3 8350. How are the temps at 5GHz? Also, if you could build this again, would you still go for this or would you go for ryzen? Fantastic build. I will be using most of the parts your using in your build except for a few different things. I'm waiting on them to come in the mail. Since my build will be pretty much the same as yours I was wondering if you had any advice? 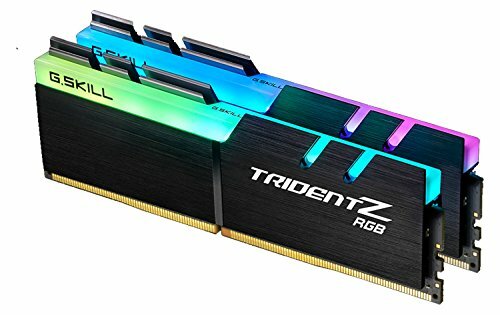 Did you encounter any other troubles other than the ram and cpu block contacting? Thanks in advance. Maybe the extension cables, as I mentioned in the last paragraph, if you want the cables to travel through the backside of the motherboard. Hey looks great, I am doing something similar with the Evolv Shift/Z-370-I/Captain 120EX but I'm having an issue where the glass tube from the cooler is pressing against the tempered glass side of the case. I'm not sure if this will hurt anything but I wanted to see if you have a similar issue or if yours has clearance between the tube and the side of the case? Just saw this... They stay very close but there is a ~1-2mm clearance between them. i just ordered a i3 8350k today to pair with my gtx 1080 hybrid and play at 1600p. the cpu will be cooled with a h105 so exicted to see them high high frames! What is you're voltage at? I have OC'd my 8350K to 4.8GHz at 1.31 Volts and attempted 4.9 at the same voltage which didn't work. I don't want to have to go through the whole irritating process of upping the voltage and stress testing to find stability which often times ends with my PC not functioning properly. I'd like to reach the 5GHz barrier so what do you have the voltage set at? By saying didn’t work, did you mean not booting or not passing stability tests? While doing the stability test, it crashes and takes a few tries to boot it up without it crashing again. So in short, both. So what voltage are you using. I usually runs at 4.0 GHz since overclocking is too loud... Just tested at 103.3 * 49 = 5062 MHz, and I let the motherboard to auto manage CPU voltage... When running prime95 blended, 2 cores instantly stopped working while the other 2 was ok, and I checked CPU-Z. it showed the CPU ran at 1.360V. Without prime95 the voltage is around 1.1V. The Photos are amazing. and the build is a bit much for 2000 just for a 1060 but all around amazing job. Very good PC, discreet and powerful PC. In turn, I love the Phanteks cabinet - ENTHOO EVOLV SHIFT, for its aesthetics and personality and apart is type Mini ITX Tower. Thank you! I love this case too and it was sold out on Newegg the first few days when I was planning... Then on a Monday I saw it re-stocked I was so excited and bought it without any hesitation. Great, what a good buy and now get all the potential to your pc and you are going to realize a delid to the CPU to lower the temperatures? Yeah. That case looks A LOT like the Corsair One. dang you have a great looking build, but you didnt focus on cooling this mean machine. Hitting numbers are great, but the temps, oh my. What is the temp when stress testing your system? At CPU temp shutdown? What do you consider "load" at 100 C? It is hard to cool it down since the bottleneck of thermal conduction is inside the CPU itself... Everything would be fine if I lower the clock and the temp won't be that high.